We have heard horror stories in the news or rants on Facebook about people being offloaded in a plane or not allowed to travel abroad due to immigration issues. For people, especially first time travelers, this is quite scary. Imagine the anticipation as well as the money spent on airline tickets, hotel reservations and such but just end up being barred to go out of the Philippines? A horror story indeed! I too had my own fair share of stories in immigration. My first time to travel abroad, I was nearly being offloaded. I had the necessary papers, but the immigration officer felt that I will stay in Singapore to find work since my brother is working there. But I had cleared them of their doubts after 15 minutes of standing and explaining in their booth. But thank God that the immigration officer had seen my sincerity that I will go back here in the Philippines after 4 days as stated in the immigration slip that I answered. We all know that we had to check in 4 hours before the flight. So to avoid any rush, be on time to go to the immigration booth. For me, I always make it a point that I go to the immigration booth 3 hours before my flight to avoid rushing. Some people are being offloaded because they don't have enough time to go to the departure area. Most of the times, the immigration has long lines and some immigration officers also spend a long time to check on your documents and ask too many questions. But if you are early, you still have an ample amount of time to stand in line and answer every question the immigration officer throws at you without rushing for time. Valid Passport – see to it that your passport is more than 6 months from the date of expiry. These are =documents that most immigration officers will ask from you. But still, others require you to give more documents, especially if you are travelling alone and for the first time. They will require you to establish evidence that you will surely go back to the Philippines. This will prevent Filipinos to stay illegally in another country and to avoid human trafficking. So, my advice to you is always prepare your documents. For employed persons, bring your company ID as proof. Just to be sure, you can also bring your Certificate of Employment (COE) stating what company you work, you are on leave and state your salary. I have heard of some situations that officers are asking for this information, which is why some are offloaded. Yes, I agree that these are too much since you all have other documents to support your claim of being able to travel, but just to be on the safe side, bring these too just in case. For self-employed and businesspersons like me, you can bring your Income Tax Return and business permit just to be on the safe side also. When I traveled, I always bring these papers but it was never asked of me so far. But like I said earlier, in case they will need that information, you have documents to support your claim that you are indeed a business owner. The immigration officer will ask you a lot of questions like, “Where will you be staying?”, “Who is with you?”, “How long will you be staying?”, and even money related questions like “How much money you are bringing?” These are some of the questions that you need to answer honestly and concisely. Do not give other information that is not asked to avoid more follow up questions from them. Just answer what they ask of you. Act confidently and do not show any signs of nervousness because they might mistake it as if you are lying to them. The immigration officers really want you to establish the proof that you will go back here in the Philippines and you will not apply for work illegally abroad. So better prepare evidence that you are indeed just vacationing and will come back at the time that you promised to go back. So if they ask you how you can finance your trip, "show them the money” as they say. 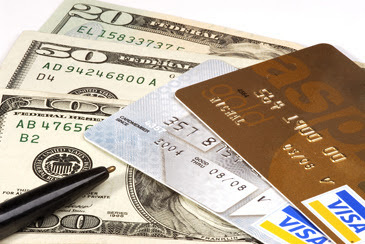 Tell them that you have money as well as show them your credit cards and ATM cards if you have one. Also, you can show them your Income Tax Return in case they will dig deeper. That is why based on my experience, it will be deemed favorable on your part if you bring other documents like ITR etc. These are some of the tips that I am suggesting because of my experience having been interviewed quite often when I travel. So to sum up what I had written above; prove to them you are qualified to travel abroad and you will be back in the Philippines afterwards. For hotel recommendations, visit Agoda! Hi, What do documents do i need to show on immigration to go to UAE and visit my girlfriend. Hi, will the IO count the pocket money that will be brought for the trip? what if I don't a credit card, I only have debit card. Thanks. We will travel to Hong Kong with my boyfriend this December. We owned a small business. And we don't have business permit yet. Is it okay if I dont have my business permit and I will just say to them that I am self employed? But we have joint bank account, complete package itinerary because we bought our ticket to a travel agency. Thank you for your reply! Based on our fellow blogger's notes, the business permit was only an additional proof she personally brought along but it's not really required. hello, i am a 2nd courser college student and i plan to travel to hong kong for 4 days this sept. and my mom is sponsoring for my expenses. by the way my mom is not working in hong kong but in other country. the documents i have are passport, return ticket, hotel reservation, and my certificate of enrollment. is my documents enough to pass through the immigration? Your documents look good in my opinion; they should be proof enough that you will return. Pero in the end, yung immigration pa rin naman ang mag-dedecide dyan. 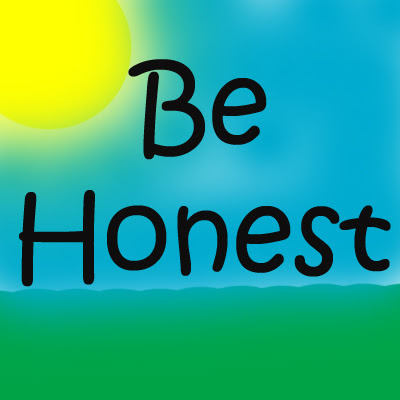 Just be honest and confident. Don't be scared. Happy trip! how was your immigration experience Janine? hello. i am a 2nd courser student and i am travelling to hong kong this september. my mom will be paying for my expenses for this trip. she is not working in hong kong but in another country. some documents that i have are roundtrip ticket, hotel reservation, passport, school id, and certificate of enrollment. is this enough to pass through the immigration? Hi. Will it be a problem for me since I will be going to Dubai alone? I am a female, 23 yrs. Old. Mas specific for Dubai yung information nila. hello i work in taiwan as caretaker but i went home for some personal problems. my friend who works their in thailand wanted me to go their just for a visit but what i am worry is that i dnt have an oec.is it important to present an oec to the immgiration? That's sad to hear naman po ma'am. I suggest you consult an expert in immigration (like a lawyer) to check your options. Baka mapagkamalan kang may planong mag-job hunting dun because you're not working unless you can provide documents to prove na babalik ka pa dito like bank statements, possibly a business (kung meron), etc. Hi, ask ko lang if ano possible documents na need ko if im currently unemployed just last month and im planning to go SG for vacation for a week? If you have all the proof that you are going back here after the trip, then you should confidently answer the immigration officer's question. Don't hesitate and be firm while presenting all your documents and proof. Hi . I plan to travel solo in hongkong. 3rd year college student. What will be the documents would immigration possibly ask? 1. The Philippines nationals who desire to go to Hong Kong for transit, tourism or business with a stay of no more than 14 days do not need to apply for visas. Please visit Hong Kong Immigration Department website http://www.info.gov.hk/immd/ for requirements if a visa is required. Hi mam, will be travelling to SG with my family and I did not mentioned s leave ko n dun punta nmin. Ok lng po b un s immigration? Provided n my return tickets nmn kmi? Based po sa experience ng iba, mas maganda pag may kasamang family; kids specially since they need to be back for school pa rin. Hi? naka bili na po ako nang plane ticket bound to SG to visit my boyfie working there .... self-employed po ako .. . may ITR na ako may invitation letter narin ako from my boyfie but still I have doubt na baka di ako payagan kasi bf lang ang nag invite ..pano po ba? Provide itinerary punta k sa travel agency magbibigay cla nun mg babayad k lng. Hello, may reply po sa taas from an anonymous user. Baka makatulong. Good day! Hingi lang po sana ako ng advice kasi po plan ko mag tour sa Thailand this december nag alala lang po ako baka ma offload po ako sa airport immigration kasi wala po akong work. Tska 1st time mag travel po. Ano ba ang mga kailangan para di maoffload. Advise ko lng po sayo. Ang ihanda mo po talaga ay kung paano humarap sa IO ng normal at professional. 1. )Respect the IO anumang mangyari. 2. )Eye to eye contact sa pagsagot at dapat isang tanong, isang sagot. 3.)Focus. Wag na wag intindihin ang ibang tao.. Ikaw at IO lang! 4. )Observed body language. 5. )Be smart and alert. Keep in mind na anytime sisindakin ka nila sa pagtatanong 6. )Be prepared. Any docx na magpapatunay ng pagtravel mo dapat nakaready yan. Actually, first time ko rin po, mag-isa lang ako at kakaresign ko lang sa work noong nag-travel ako. Yung IO na napuntahan ko ay sobra talaga kung mansindak ng tanong. Dagdagan pa yung nasa katabi ko na passenger na halos magtaas na ng boses at mapalabok kung sumagot sa IO pero nagfocus pa rin ako sa IO na nagbubusisi sa akin. Gaya nga ng sabi sa mga blogs, nakadepende talaga sa passenger kung ano ang itatanong ng IO. That time expected ko na itatanong saken ay Saan ako pupunta? Ano gagawin dun? Ilang araw ako mag stay? Kailan ako babalik? Sino pupuntahan ko? Ano work ko? Etc.. Thanks God ang tanong lang saken, Saan ako pupunta? May kakilala daw ba ako sa pupuntahan ko? Ano work ko? Pero yung the way ng pagtatanong ng IO pasindak talaga at nandidilat pa ng mata hahaha. Tapus bago tatakan bigla ako tinitigan ng matalim halos mga 5secs. gayunpaman relax at normal ko lang din siya tiningnan sa mata. Haha Ayon narinig ko na ang pagtatak! Syempre focus parin kay IO. ^Maraming salamat sa reply mo. I'm sure makakatulong ng malaki yan sa mga nagtatanong dito. Thanks! Anyways, thanks po. I'm still enjoying my vacation here hehehe.. Hindi talaga ako makapaniwala that time na di man lang ako tinanong kung bakit almost 2weeks ako mag vacation tapos wala ako work hahaha.. So tama talaga yung mga nakalagay sa requirement ng immigration natin! So pwede pala mag-travel abroad kahit walang work. Akala ko mahirapan for approval. Salamat sa tips mo. Hi! Good morning ☺️ what if you're travelling for the first time and you're just a an undergrad student only? but you have an iterinary and a roundtrip ticket and a show money, what do i need to say incase they ask for other documents? I've been wanting to travel to SG and I'm scared to be offloaded. I don't have a job but I have an online shop and I'm an online entrepreneur. I can afford to travel. Hi,papnta ako ng SG kasi doon nka port yung cruise ship kung saan nag wo-work si bf seaman po kasi and kasama ko mag travel yung anak nya and ok lang ba pag tinanong ako ng IO sa sg kung sino kasama ko sabhn ko Son ng bf ko? Thank you for sharing these tips to everyone. Kahit na naka-travel na ako before, I always got nervous pag immigration na. There's just ne thing I mean to ask though, I've just recently been to SG and stayed there for 2 months with side trip sa Thailand for a backpacking trip. Now just after a month of returning back dito sa Pinas, I am scheduled to tour naman sa Vietnam but this time only for 4 days. Do you think magiging issue yung previous trip ko sa SG and ma-offload ako for my Vietnam tour? Also may mga previous trips din ako earlier this year (HK and Japan) and some others way back. Nakakatakot lang yung idea of being offloaded. Please help. Thanks. For a frequent traveler, I think you're just being paranoid. :) With all your trips, I'm sure you have learned tips and tricks for overseas travel already. Hello po ill be travelling in HK this December im fresh grad last year kaya wala pa kong work and my mom wants me to travel and take some relax muna sia gagastos sakin pero nasa sa Saudi si Mama nagwowork ano ba dapat kong gawin kinakabahan kase ako ? Sadly! Tatanungin ka nyan bakit magisa ka lang , ang papasok agad sa isip nila is mag transit ka going to saudi.... Or mag hahanap ka ng work you have to provide documents na proof na babalik ka. If they keep a record of it; baka nga. But at least you will be ready next time. Mas convenient sa travel agency although baka makatipid pag DIY lahat. Read a lot of travel guides bago kayo mag-do-it-yourself mode though. Hi,i am Indian,i am working in Singapore.january I need to married my girlfriend in phillipine.so I leave it my job then go to married.if I don't have Singapore visa then I can entered Singapore to phillipine ? Hi good evening.i am Indian.i am working now Singapore .I have to plan married to my Filipino girlfriend in phillipine.so I cancel my job then I go to phillipine.if I don't have Singapore visa then I can entere in phillipine immigration? This looks like a different topic altogether. I tried to look for answers for you but I can't seem to find anything useful. Most posts are about travels from the Philippines to SG and not vice-versa. I suggest you contact the Philippine consulate office in SG for details instead. May proof naman that you can finance the travel with return tickets so kahit paano hindi na po questionable yun. Hello im travelling with my sister and my son his aged is 9yrs old. He is illegitimate We will travel to macau. Wat are the supposed requirements we need to provide? We will go to my boyfriend. What should i need to prepare docs. To my self,my sister and my son. Thanks for answering. Tulad nung naka-indicate sa taas, kailangan ng financial proof that you are capable of paying for the trip, aka "show money" as well as plane tickets, hotel booking, travel itinerary etc. Late na nabasa. I hope natuloy ka with no problems. Hi Alexis Cates. Pwede bang malaman kung ano po yung mga questions na tinanong sa iyo at kung ano ung sinagot mo? I'm planning to travel alone din kasi. And kakaresign ko lang sa work. Budget-wise, nakapag save naman ako more than enough for that travel. Hoping for you tips! Thank you very much. Simple questions lang naman tinanong sakin,first ask nya(imig. Officer) if first time ko daw ba mag travel, i answered yes! Then he asked if anong gagawin ko dun? Sabi ko holiday po. Then ask nya if ilan days and asks for my hotel accommodation, sabi ko 3days po sabay abot ng paper. Ask nya uli ano work mo? Sabi ko i don't work po hehe, sabay singit ko na i took some of my bank certificate po if ever you wanted to see po. Tingin lang sya sakin hndi nya kinuha ung certificate. Then ask nya ano level ng ntapos ko, sabi ko collage po. Tapos panay lng tingin nya sakin habang check ung mga docs ko, parang nangingilatis ba haha.tapos napansin ko din na tinitignan ang pananamit ko, at tyempo may mga alahas akong suot kaya panay din tingin nya. Sguro naisip nya na hndi nmn tlaga ako mag work dun or something haha.. Deretso lang ako sumagot s mga tanong nya na very confident ako with a smile. Then yun na, sabi nya sige I'll let you travel sabay tatak sa passport. Tips ko lng po sayo eh maging confident, tanong sya deretso sagot ka.with a smile syempre hehe, then wear something nice na mukang kaya mo nmn talaga mag travel kht walang work. Suot ka na dn alahas dagdag factor un s napansin ko,kasi hndi nmn ma dedeny na may ugaling gnun ang pinoy eh, tumitingin sila sa appearance check nila f mukang may kaya nmn or wala. So ayun na nga, if my questions ka pa po feel free to ask me. Hope i helped, thanks! Hello! Tanong ko lang sana kung ano mga requirements na tinanong nila sayo. Thank you! Hello! Tanong ko lang sana ano nga requirements na hiningi nila sayo. Thank you! Laki ng problema ko na offload ako yesterday date ng flight ko sa terminal 1..
Hi po. Saang bansa po kayo papunta and bakit po kayo na offload sa tingin nyo? Ano po ba mga tinanong sa inyo ng IO? Na offload ako... kinuha sa imigration ang pasport ko.. ask kolang maibabalik paba ung pasport ko thank u. Sorry to hear that. Contact an immigration lawyer/expert to find out what options are possible for you. sa tingin nyo po ma oofload kaya ako...business gamit ko from travel agency sila din ang sponsor ko...i have invitation letter,visa,return ticket, sa accomadation naman doon ako mag stay sa kapatid ko nasa qatar...nadala ko na rin sa DHL passport ko para magpatatak sa qatar embassy...dati na akong ofw kakauwi ko pa lang sept2016..ma oofload kaya ako nya? Hi im 25 yrs old i have a job here in the phil admin staff ako sa barangay hall namin im working almost 4 years .. im planing to have may vecation this comming may and i have all my docs like round trip ticket hotel reservation i also have atm card... sa pag alis ko na daw coe and loa.. first time traveler and solo.. meron pa po bah need othrr docs na needed? Maliban sa ATM card, bring bank statement na lang para may printed proof. Tnx po .. its a big help..
Hi! May i ask do you have any idea how much money to have on hand for Canadian to visit the Phils as tourist? Hi po. Hope you can give me some tips. I got married this year lang. My husband is an American. He is currently working in Malaysia now. He is a teacher there. His school will be the one who will process my dependent pass and my husband said that his school will issue a letter stating that theyll process my papers (dependent pass) in connection to my husband's work permit. In short, i dont have return ticket coz ill be living with my husband in Malaysia. We have our marriage certificate, his school's letter, his financial docs like paycheck etc, his work permit. Im unemployed and a first time traveler. We are traveling together coz that's what the IO advised him when he asked. What else do you think we need to avoid being offloaded? And ive read about cfo. Do you think theyll ask me about that? hello . I've been to singapore many times well yearly and my last travel is HK. magisa ako lagi nag trattavel cnsb ko lng lagi i llbe staying at my aunt haus . And hanggang kylan stay ko.Well usually 4-5days lng. Now bago na pasport ko renewed. Ques is naka rekord ba lht ng travel ko kasi ppnta ako sg this friday. Di ko mahanap ung old passport ko kng nsan lahat ng stamp ko. hahanapin pb un? baka mmya prng first timer ako ask ng IO which is matagal at mabusisi. All my travel wala nvr pa ako na ask ng company ID, ITR or any id . Lagi lang question is purpose and how long.ganun b tlga pag lagi nag tratravel? hello. kakauwi ko lang last year galing work sa japan,so unemployed ako..tapos inimbitahan ako ng pinsan ko papunta ng dubai para mag bakasyon for 50days,at regalo ko na rin sa sarili ko..may savings naman ako na pera proof na afford kong mag vacation doon..may chance po ba na ma offload ako kasi po unemployed po ako,baka isipin ng officer maghahanap ako ng work pero pasyal lang talaga hanap ko..yan kasi nababasa ko sa mga blogs..
Good day! I am travelling with my bf to SG for 3 days. Government employee po ako at sya naman seaman pero on vacation sya that time. Kelangan ko po bang ipakita sa immigration ung travel authority from our department head kahit na ung three days na travel ay 1 day lng leave ko nun? And, ung bf po required documents na hahanapin sa kanya ng IO since on vacation sya that time. Thanks in advance. hi good evening po offload po ako january 15 2017 dahil wala po ako sponsorship letter from my fiancee we are confident with my visa online and now i have a flight tomorrow april 12 and i have all document can i know if they allow me to travel even i have a record of offload last time i will stay india by 3days only ..
Hi Hansika, ano pang mga papers ang meron ka ? I'm planning this month to visit in India. Pero third time ko nang pupunta nang India. Kaso bago na ung passport ko kaya nangangamba talaga ako. Question po alis po kami ng mga cousins ko to SG. Hello po tanung ko lang po kung visit visa ang gamit ko anu ung mga possible n tatanungin ng IO 3months kasi ang kukunin n visa ko. Ung asawa kasi ng brother in law ko n pumunta last yir ang tanung dw sa knea ng IO "sinu pupuntahan niya sa dubai? sagot niya byenan niya at "maghahanap dw ba siya ng work dun" sagot dw niya "oo" eh pinayagan nmn po siyang makaalis..Tnx po sa sasagot..
hi po, nakaalis kana po ba? Hi. I need an advice and help po. My brother was currently working here in Dubai for 2 years but he's already staying in Philippines since October 2016 until now and he has a girlfriend who already went to SG few years back with her family, and my boyfriend is going with them to Malaysia he is a first time traveler. Do you think po they can make it to pass immigration? My boyfriend is working as a waiter but their company can't provide him leave certificate since he's not a regular employee there or should I say on-call lang po siya. And my brother has a vape shop and her girlfriend is kakaresign lang po sa work she's a nurse. Any advice and tips po. They will travel end of June. Hi, I need your advice/suggestion.. I will be traveling this Sept. with my ofw husband in Morocco. My hudband is an ofw in Malaysia. I often visit Malaysia. five stamps..and traveled to SG, HK and Macau.. (2stamps) each..The scenario is me and my husband will be going for a visit in Morocco. I will be flying from Ph-KL and the next day perhaps KL-Casablanca kasi andun husband kk at ang tickets are cheaper in Kl-Casablanca.&vice versa ang worries ko baka iscrutinized pa ako ng Immig pag sinabi ko na sa Morocco ung target destination ko not the KL. nattakot kasi akong maoffload dahil sobrang mahal ng ticket to Morocco at sayang namn .. separate kasi ang tickets ko Ph-KL and KL-PH ..so hindi hindi nmn malalaman ng immigration na my flight kami to Casablanca with hubby.. Kukuha din ako ng COE,Leave forms, ITRs and lahat ng possible documents.. ihide ko sana ung morocco d nmn nila mahhalata since ofw namn mr.ko sa malaysia at sasabihin ko to visit my husband.. ano kayang mabuti kung gawin? ideclare ko ba ang Morocco or ill pretend na sa Kl lang ako.. pabalik balik na kasi ako ng Kl and mas kampante ako pag Kl lang sasabihin ko than Morocco.. any advice pls..
Yung unang destination nyo lang naman ang tatanungin. Meron din naman kayong return ticket so pwede nyo na lang siguro ipakita yun? Don't mention about the side trips. I need help po.kasi Yong situation ko iba kasi po nag Sabi ako sa employer ko na mag vacation pinayagan ako but the problem sa ka launan na terminated ako nang employer which is my ticket na ako pa uwi nang pinas for vacation so ang ginawa ko nag hanap ako nang new employer then I tell to the new employer that I have ticket already to Philippines then they told me that they will sent in the Philippines bcoz still on process and I don't have time to wait bcoz my flight in already on it so I go to Philippines and I wait my visa I just want to ask help what is my requirements in the immigration and is it possible that I can come back to Dubai with my visa? Kung sabay kayo sa airport at magkasunod sa pila, chances are, sabay din or magkasunod interview ninyo. Mabilis lang naman. It won't take long. Wala pa yatang 5 minutes yun sa amin for Thailand. Japan 2004 ofw 6 months.. japan 2006 ofw 6 months . 2007 japan ofw 6 months. 2009 brunei of.. 2012 Hk tourist for 3 days. 2014 malaysia tourist 3 days. 2016 hk tourist 4 days. Then ss tuesday first time ko mgtravel as solo. Is there a passible maoffload po ako kc worry ko lng po first time ko lumbas magisa. I hve online business may DTi permit ako. House title and Or/cr ng sskyan ko. Wla lng ako bank statement :( slamt po sa ssgot. Hello po nagpabook po kasi ako sa hongkong on july 3 solo lang po ako mag travel mag sstay po ako dun ng two weeks sa mother ko po and as of now po unemployed po ako and ung dadalhin ko lang pong pocket money is 1000hkd since ung mother ko po ang nandun sya po ang magpoprovide ng expenses ko when I get there and makakatulong po ba of I will show bank statement? And one more thing backpack lang po dadalhin ko wala ng luggage or anything since first time ko po magtravel ayaw ko po magdala ng mabigat, di po ba un disadvantage if bagpack lang dala ko? First time ko mag travel out of country. Thank you. Yes. Makakatulong yung bank statement. Kung may return ticket ka & itinerary, it will help also. thank you po ask ko lang po if hindi nila iku-question ung pocket money ko na 1000hkd? Actually you need it to prove na you may pang-gastos ka pagdating dun. gud eve po. pwd po mag tanong ms. maria. pupinta kami ng thailand ngayong september po. at yung1st degree ko na pinsa sasama sa amin at yung mom ko gagasto sa lahat. yung pinsan ko wla pang work. ano pong requiremnts na dadalhin nya para sa immigration? kasi bday ng mom ko kaya kami mag vacatiin sa thailand gusto nya sa thailand sya mag bday po. Best to ask an immigration expert po or someone from an agency. gud eve po pwd po mag tanong ms. maria? kasi po pupunta kami ng thailand ngayong september po. family trip po. kasi birthday ng mom ko. at yung 1st degree na pinsan ko sasama den saamin at yung mama ko gagasto lahat. ano pong requiremnts nya na kailangan sa immigration po? wla nman syang trabaho. plsss reply..
Hindi naman matagal ang interview with the immigration officer (just a few minutes), although isa-isa kayong kakausapin. Hindi requirement pero best to present printed confirmation para sa return tickets, hotel booking, itinerary, and any other document to prove you will not stay and will go home. Hi. Good day. Plan po kasi namin ng dalawa kong kasama (mga undergrad) na pumunta sa Korea this April, 2018. Eh ako lang po ang working. Actually they were my students when they were still in high school. Ano po kaya ang possible na maging tanong nga IO kung dalawang undergrad yung kasama ko though parents naman po nila ang sponsor nila sa trip nila. Ano po kaya ang best na gawin namin? Salamat po. is your korean visa approves(also the two)? hi , I'm planning to go back in Singapore this July but I am afraid to Immigration Officer because last April29,2017 i go to Singapore by myself and a first time traveler . then now i will be back again but unemployed . can you help me how i will pass the immigration . I'm not looking a job in Singapore it just i want to go there as my pleasure to myself. hi tanong ko lng po , paano makakapasa sa immigration if second time mo sa country na iyon at 1 and 1/2 month p lng ang nakakalipas ng pagpunta doon. Hello po! Mam tanong ko lang po paano kung second time ko na po pupunta sa vietnam. Last po ako nagpunta noong january at ngayon august po pupunta po ulit ako. Bale 2 days lang po ako doon mam. Papasa po kaya ako sa immigration kung valid passport, return ticket at hotel voucher lang po ang ipapakita ko na documents. Thank u po mam,at sana masagot nyo po agad ang tanong ko. Hello po! Mam pano kung second ko na pong pupunta sa vietnam. Last po ako nagpunta noong january at ngayon august po plano ko pong magpunta ulit. Bale 2 days lang po ako doon mam. Papasa po kaya ako sa immigration kung valid passport, return ticket at hotel voucher lang po ang maipapakita kong documents ko? Maraming salamat po at sana masagot nyo po agad ang tanong ko. Hi po Ma'am,magtatanong lang po sana ako kung anu-ano pang mga documents ang kailangan namin. Meron po kasing kaibigan si mama na pupunta ng Thailand for vacation and we will be going with them. Nabasa ko po yung article mo. I just want to ask for additional requirments that will be needed to pass the immigration. We have the passports, plane tickets,and hotel reservations. Isa po akong high school student at ang mama ko ay isang government employee. Baka po kasi magkaproblema kami pagdating sa immigration. First time pa naman po namin mag travel sa ibang bansa. Kailangan ko po sana yung tulong mo para sa iba pang maaari naming proof na magbabakasyon lang kami. Sana po matulungan mo po kami. Salamat po. Hi Ma'am magtatanong lang po sana ako kung anu-ano pa ang kailangan namin na documents. May kaibigan po kasi si mama na pupunta sa Thailand at makikisama lang po kami. Ako po ay isang High School student at ang mama ko po ay isang Government Employee. First time po namin mag travel abroad. Meron na po kaming passports, plane tickets, at hotel reservations. Kailangan po sana namin ang tulong mo para sa iba pang requirments na kailangan namin para pumasa sa immigration. Sana po matulungan mo po kami. Hi po..I'm going to Thailand this Sept.and ung travel qu po ay sponsored ng bf qu, he is american citizen but stay in Thailand until Dec.for his education there..I have a copy of his passport,his visa, apartment contract and address, bank statememt,proof that we are in a relationship/pictures together, anyway this is my second time to go with him but I'm still nervous..And I'm employed here..do I need to show them my coe even I have a company I.d? Also I have a returning ticket. Hi.good day.. Hope masagot nyo ako. Im traveling to SG this Nov. With my cousin and her workmates. Unemployed ako and I don't have money to show like bank accounts or proof of income. I'm very much aware na mahigpit ang immigration sa ganun pero since group kami at may travel agency/tour package etc.. nag go na ko kasi sponsored naman sya ng tita ko na nasa states.full time nga pala ako nagaalaga sa 2 pamangkin ko na ang mother ay nasa ibang bansa din (sya naman sponsor ko sa pocket money) so ayun they think deserve ko naman mag relax at mag travel overseas sino ba naman aayaw sa libre?hehe. So ayun po sana masagot nyo ko.. Ano pa ba need ko documents? And any advice na para hindi ako ma-offload?. Hi! Ask ko lang po kung ano itatanong ng IO. Mag tour kase ako sa taiwan and magkikita kame ng bf ko. Ano po ba possible na itanong? I have COE, ITR and hotel accom.pero ung bf ko nagbayad ng hotel accom. Please help.thanks. Honestly, the interview with the immigration is not too scary as some people say. Saglit lang naman yun as long as you don't look suspicious. Just present every document you can provide and be confident. It may help po siguro na ipa-print yung email containing the receipt for proof. Hi po,ask ko lang po sana, magtatravel ksi kmi, me, my live in partner, my 4yrs old daughter and my sister to HK nxt year. Me and my partner, preho po kming freelancer. we don't have company id but we have the contract nman from our client. nakapag book na din kmi ng flight, hotel room and ung pocket money is good na rin. we don't have credit cards, but we havr joint acct and ung ITF for my kid. Ano po kaya ung possible na maging problem nmin pag nsa IO na po kmi and sabay sabay po ba kming tatanungin as a group? thanks. They will not interview you as a group. May pila po at isa-isa kayong sasalang. Short interview lang (no more than 5 minutes) which include the immigration officer checking documents you present (travel materials, including itinerary) and more. Hi po. I'm planning to go to Dubai this January 22 and look for a job there. I already have my plane ticket pero wala akong return ticket. Papagawa lng daw ako ng dummy. Ill be resigning na din sa job ko this coming December. I have my cousin in Dubai. What Im afraid of is baka ma-offload ako because I'm unemployed. And if IO found out na dummy lng ung return ticket ko. Please advise. Thanks! Hi, I have no idea what to say but be ready for possible consequences. Baka makita nga na wala kang real return ticket. But do your best pa rin. Be confident when answering the short interview questions. Mahahalata siguro na may something "off" pag kinakabahan ka so act natural na lang. Hi. May chance ba ako ma offload since i dont work here but Im married to a US citize and magbabakasyon lang siya ng 3 weeks. And plano namin pumunta ng singapore then connecting flight to bangkok. 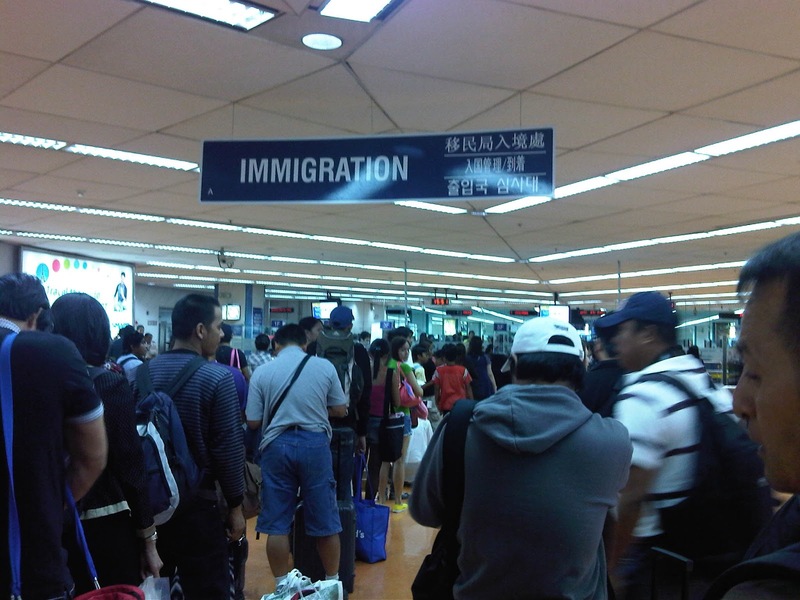 Makakalusot ba ako sa immigration kasi 2 places ivivisit namin?. THANK YOU! Thank you so much! :) what questions do they usually ask? Trip details --- when, why, what (itinerary works), how (will it be financed) and/or more info. 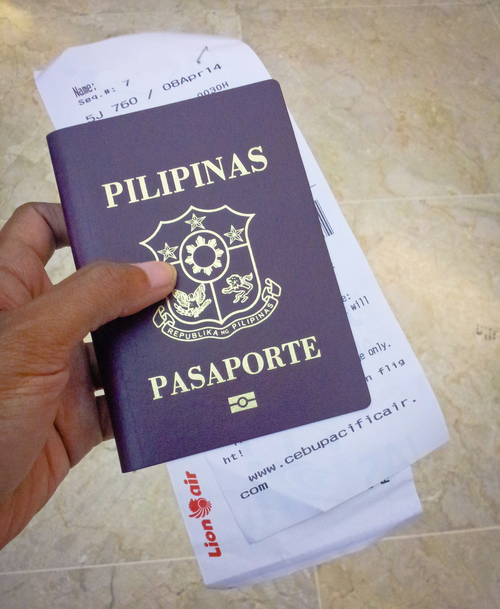 can I insert my return ticket, my itinenary voucher to my passport para hindi na mag ask ang IO tungkol dito? When you get to the immigration officer's window, you will present everything at once anyway so you don't need to wait for them to ask for it, in most cases. Hello po i plan mag babakasyon po ako sa jeju island south korea po this april bali visit ko po bf ko dun. My ticket back and fort na po ako at my hotel reservation bali 5 days po ako mag stay dun at saka un employed po ako now kasi kaka graduate ko lng po last December . Anu po pa kya ang pwede ko i present na document para d ako ma of load. First time ko din po mag travel.. na stress na po ako at saka kinakabahan wala pa man. Sana po ma help nyo po ako. You have all documents naman to prove that your travel is well financed & you have no intention of overstaying so just be confident kapag kausap mo na yung immigration officer. Hi! It’ll be my first time to travel abroad on April. We’ll go to malaysia and stay for 8 days. I’ll go there with my boyfriend, he’s an american. I have a stable job, do I really need to bring company’s docs or we can sya to the immigration that we’re just planning to do prenup there that’s why we’re going there?? Those aren't really necessary but best to bring everything you can. Hoping for reply po. Thank you! Hi, so my sistsr and I will go to Thailand and Cambodia this May. Passport, Roundtrip tix, Hotel bookings are already set. My sister is employed so she has all the needes papers din like COE, ID, Bank Certificate and LOA while Im managing our family business. I have the business permit and ITR with me but it is named after my Mom since matagal nang family business yun. And I also have my Bank Certificate just in case. Do you think magkakaproblema kami sa immigration? Thanks in advance! Honestly, the round trip tickets, itinerary, hotel booking info is enough. Everything else you've gathered is normally not even asked but do bring it with you nonetheless. Hi ask ko po if depende ba sa bansa na pupuntahan ang pagka strikto ng BI? Saglit lang exit interview but do bring everything --- return tickets, hotel accommodation details, itinerary etc. I'm not sure what you mean? Pero kung sa bank branch ka kukuha, I think dun mo din sa branch na yun makukuha? Opinion ko lang po. Please visit your bank for more info. Salamat. This time hindi na siguro since kasama mo si mother & her background can back you up. Enjoy! Nagplano po kami ng gf ko pumunta ng Hk this November but unemployed po ako since December last 2017 I have bank account, returned ticket, hotel accommodations, and tickets from Klook currently kasi nagwork ako sa brother ko assistant sa family business but the business owner is him. Maoofload po kaya ako? And if wla po work ano po nilalagay dun sa immigration form like “unemployed” po ba dapat please help. If you're working for your brother, it's better to say so instead na sabihing unemployed. Maybe your brother can even produce some form of COE for you. Do bring any documents which can help you. Maybe ask your bf to email you a copy of the hotel reservation. same situation here ! i was planning to have a trip on cambodia to meet my bf..i just worry i was unemployed and dont have any bank.statements.. but i will.tell.them that my bf is the one who provide my expenses when.i got.there.. is it possivle that im going to be offloaded ?please help me..
may workibng visa ksi ako ng 1year before ksi nagwowork ako sa cambodia but my bf is and indonesian.and.currently working there ..kakauwi ko lang nung may and nanganak nung july so i was unemployed.cos i taking care of my baby and my bf.not allowed me to work cos.he can support me and my baby naman and.he always sending me money everymonth ...ano po kaya possible questions sakin ? and.need pa pp ba ng company id and salary prrof nya ? Hi good day, I've been in Arab countries for 2 yrs and 8 mos. but the 8 mos. doesnt have visa. maooffload po ba ako nito? I'm unemployed din po pero kaya ko ifinance sarili dhil sa savings ko.